All the diaries I've completed. There's something about my journaling. It's the sign of the end of my day. Even when I'm tired, I cant rest until I've got my thoughts, joys and frustrations out in my diary. And once I do, I sleep so good. For as long as I can remember I loved to write stories. I always believed I would someday be published, but after I died. When I was little I knew that someday someone would find my stuff and then publish it. For some reason I never considered the option of actually publishing it myself. I loved to read about other authors (most of which are dead.) I thought it sad that we knew little some of them. Because of that I decided I would make sure people could find enough about me, for after I was dead, so they could have a nice sized biography on me. Thus when I was 11 I started journaling every day. In fact, since then, I've only missed 4-5 days and I have 25 journals filled. Though it started out as a way others could write my biography, it has turned into something much more than that. It has become a part of my life. Journaling has developed me. Its helped me work through my thoughts. It has been a therapy of sorts. It has helped me improve on my writing skills. In fact I once read that every successful author should journal. It forces them to write every day, which develops your writing habits, voice and technique. It can also be fun. 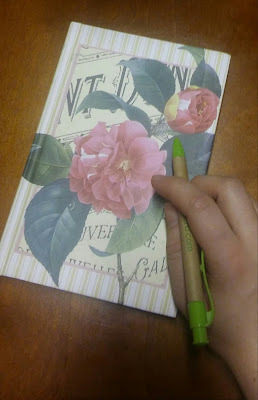 Sometimes it's so fun to pick a random day, and read the entry for each of those days to when I first started journaling. A lot of times you will see how something that was going on has some sort of impact on this exact same day, a year or even years later. It's relieving, relaxing, encouraging (for when you look back at previous entries), and builds personality and perseverance. But I believe you should do it because you want to. Find reasons of why you want to, so that when you commit to doing it, you'll have something worth committing to. HOW CAN YOU KEEP AT IT? When I first decided to start writing in a journal every day, that's all I did – decide to write every day. I didn't stress out how much or when. Eventually it became a habit to do it every night right before going to bed, but I used to do it in the morning, and even in the afternoon. But remember – there's always exceptions. There will be days when you just CAN'T write. Just get back to it the next day. So, the answer is just keep at it, and don't stress out over it. Nothing is fun when you are worrying about it. HOW MUCH SHOULD I WRITE EVERY DAY? What ever you feel like. Some days I do no more than one or two sentences. Other days I write ten pages. Normally I do two to three paragraphs. Also, because I sometimes use my journal to work through thoughts or things, I don't let anyone read them. My writing may be sloppy at times, and words misspelled, because I don't want it to be readable to anyone but myself. Not that I purposely misspell or write sloppy. I just don't make that a priority. The reason I'm saying this, is some people feel they can't journal for fear of making so many mistakes. But the mistakes don't matter and shouldn't stop you from writing. It's yours...so just write it, and don't think about it. And it can even be quite interesting when you look over your journal to see your writing grow. My penmanship and spelling has improved greatly just through journaling on a daily basis. Also, one year I did a whole journal and a half in a code I'd made up, so no-one could read it. :D That was an interesting time. But I soon quit it after one of my aunt's talked to me and said it wasn't wise, because the code might be forgotten. I think most people, when journaling, aim for something along the lines of a Dear America book. Something that has plot and meaning and action. A story. A novel of your own life. Today I got up. Then I scrubbed the kitchen floor. After that I read all afternoon. That's all. Goodnight. When it comes to journaling I believe that most people give it up because they don't know what to write about. Life just isn’t a novel. Its every day stuff – mostly boring stuff, too. Journaling isn't about how you do it or even what you are are writing. Journaling is about why you are doing it. Everyone has a different personality and will journal differently. Some will even use different methods of journaling. Here are some interesting ways of journaling that I think are neat and worthy of mentioning. Journaling in now a habit a for me. So its sort of hard to break down just why I do it. I will write down only the important or interesting facts of the day. If I work, sometimes I'll record my hours or what a work day was like. This has come in handy more than once when we needed to remember something. Sometimes the things I write wont be stuff I did, but things I said or thought, or conversations I had or overheard. I don't have very many dreams, or at least I don't remember most of them. But when I do, I will also write these down. I never address the journal to anyone – that just feels very cheesy to me. But I do date it, and if the day is something special, like Sabbath or a birthday, I'll write that on the first line. I believe I just said that addressing the journal to someone was cheesy. But that isn't true for everyone. During this time in Anne's life she needed a friend. Her journal, Kitty, became that. family. It was what she needed to get out. I've just recently heard of these. If you are going through a rough time, Spiritually, some people will write out prayers to God. Then when payers are answered it's very encouraging to be able to look back through your prayers. I sort of did this once. I took a notebook and started writing letters to someone. I kept writing letters to that girl, but never showed her the letters. It can make the journaling feel more personal when you address each entry to a real or imaginary friend. Some people prefer to type. I feel that writing everything out by hand is more satisfying and real, but this just doesn't work for some. I would not recommend this method to anyone, but it is something people do. But you can keep your notes in a bag or jar. This is when you journal, but everything you write you make up to cope with whatever you are going through. These will be very unrealistic and emotional, maybe in full of weird thoughts. Just fill in the highlights of your day at the end of each day. When you express whatever is on your heart through poetry. I've sort of done this. 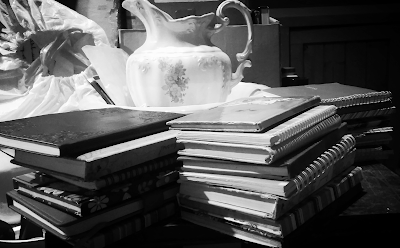 For a while I had a special notebook that I would write in almost every day, whatever was by poems. Only journal if you want to. And if you don't want to, then don't! Keeping a diary is only for those that want to do it, that have a decided commitment and keep that commitment. It's for those that feel like writing – though not all journalists will enjoy writing. But, let me say this. Once you start journaling and make it a habit, you won't regret it, but look forward to it! So, yes, I recommend keeping a journal to everyone, especially authors. What will you do? Is this something for you? Share why or why not in the comments! I'd love to hear your thoughts on this. If you do journal, feel free to share what you think about this art. 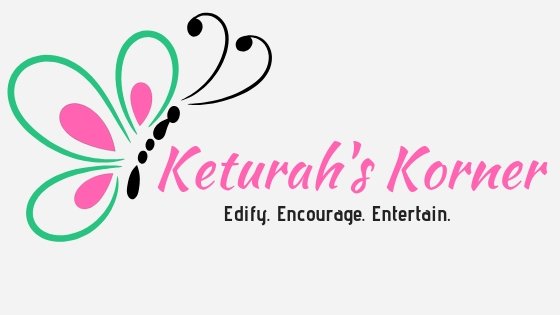 Hey, Keturah! I have a question or two about some of the things in this post. I'll email you about them. I love this post! I've always wanted to journal, but I've never been able to stick with it. I always thought I had to write something deep or inspiring, though. I think would be more liberating to write about...anything. Great post! It's given me some ideas!